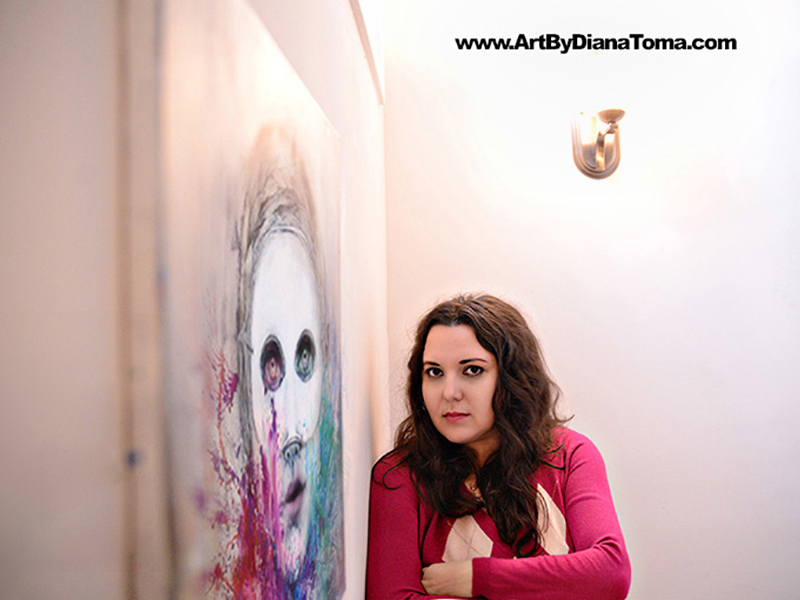 Diana Toma is an award winning Romanian visual artist currently teaching and creating in Atlanta, Georgia. Influenced by the European culture in which she was raised and enriched with American flavor, her style arrived at a unique cross that blends traditional techniques in a contemporary approach. Diana has been engaging with the art community since 1995 showcasing her work in over a hundred Group Exhibitions & five Solo Art Shows. Holding a Master Degree in Fine Arts from the prestigious Romanian University of Art and Design in Cluj-Napoca, Diana is often invited to judge and jury art shows, and to speak on behalf of the working artist on open panels, such as The Mayors Office of Cultural Affairs, and at the The Contemporary Museum in Atlanta, Georgia. In 2015 Diana became the grand prize winner of the Michaels Springtime in Paris, a national contest with over 11,000 submissions. Between 1995 and 2018 Diana won an array of awards, such as second place at Georgia Watercolor Society National. Her art work has been showcased in art magazines, billboards, and in acquisitions for showing in public spaces. Diana is currently undergoing an artist residency at Anne O Art gallery in Buckhead until April 2019 that will be followed by a Solo Art Show exhibiting her most recent art work. Diana also teaches painting classes for adults at Spruill Center for the Arts in Atlanta area, and Abernathy Arts Center in Sandy Springs, as well as and other locations within US and abroad. Her teaching approach focuses on fast, free-flowing painting release, and creative un-blockage. Click here for Diana’s teaching schedule. If you’d like to purchase a painting email Diana here.